Get Fit In 15 Minutes! Sometimes you don't have all the time in the world to just take care of your fitness. Here we list for you a few easy 15-minute workouts that will make you look fabulous in no time. If you want proper shaped legs, back, shoulders and also a great-looking posterior, this exercise will work wonders for you. Stand with your back straight, toes pointed out and your feet shoulder-width apart. Grab two dumbbells of equal weight in each hand. Squat down with arms extended keeping the lower back taut and upright. 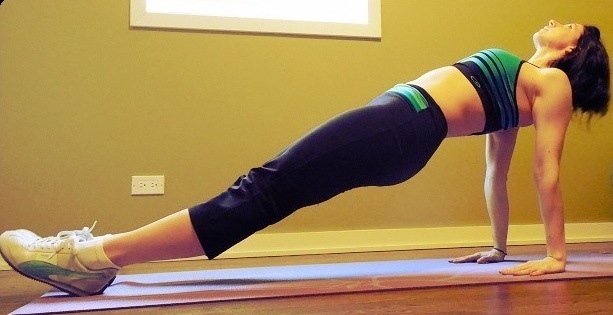 Keep on holding the pose for a few seconds before you lift yourself up to the starting position again. Repeat this process three times. If you are running short of time but need a full work out then this is the apt exercise for you. Stand straight. Then come to a complete squat down position with your hand placed in the front, and your knees near your chest. Now spring like a frog and push your legs behind as required for push-ups. 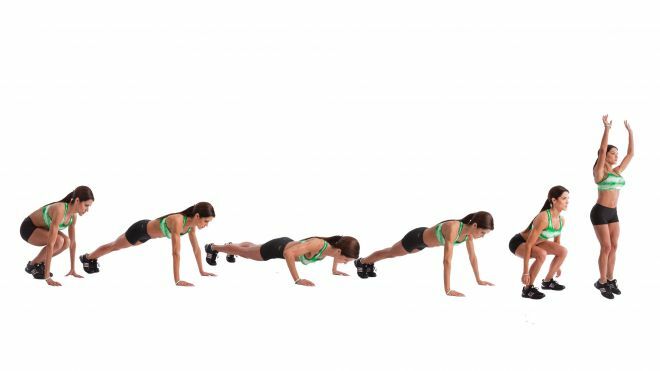 Do a push-up and now go in the reverse order to reach back to the original standing position. This workout tones your arms, shoulders, legs and endurance. To reduce the difficulty level, you can avoid the standing part of the exercise. This exercise is much harder to do than it looks, but it is advantageous as it tones the abs, triceps and posterior muscles in your body. Sit down on the floor and place your palms beside your hips. Pressurize onto your heels (toes up) and palms to lift your frame. Keep your body in a straight line as you continue to look up to the ceiling and hold the position for 30 seconds. You might not be able to keep the straight position for more than two or three breathes in the beginning. It's only normal! Do People Think You're A Nagger? You Can Dance To Lose Weight!